I've traveled around quite a lot of Japan, but one of my most memorable trips was to Hiroshima and Miyajima. Natural beauty, the resilience of a city that had to rebuild, and a spirit of hope were elements of my visit there that seemed to stay with me. If you're contemplating a trip to this region of Japan, here are some of my recommendations for places to put on your itinerary. Despite being hard to see emotionally, visiting the A-Bomb Dome and Peace Museum is something that I think every expat or visitor to Japan needs to see - and in particular, world leaders! We need to make sure that history doesn't repeat itself, and there's no better way to understand what nuclear weapons can do than by seeing the effects they had first hand. 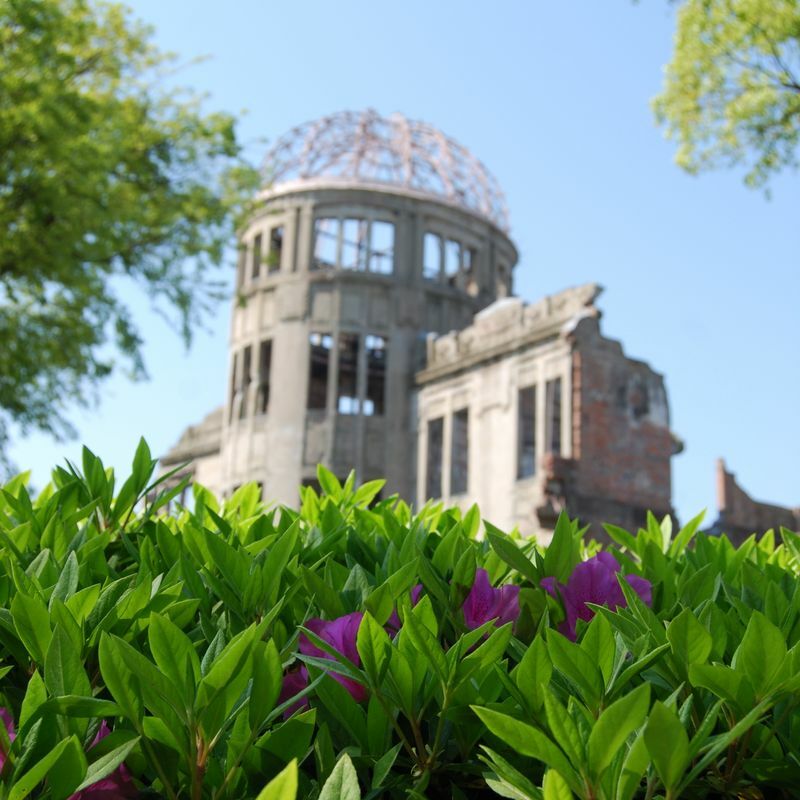 If you are headed to Hiroshima, I recommend visiting the A-Bomb Dome and Peace Museum at the start of your trip. Slightly off topic, but if you want a good book to read about some of the survivors of the Hiroshima bombing, Hiroshima by John Hersey is worthwhile. 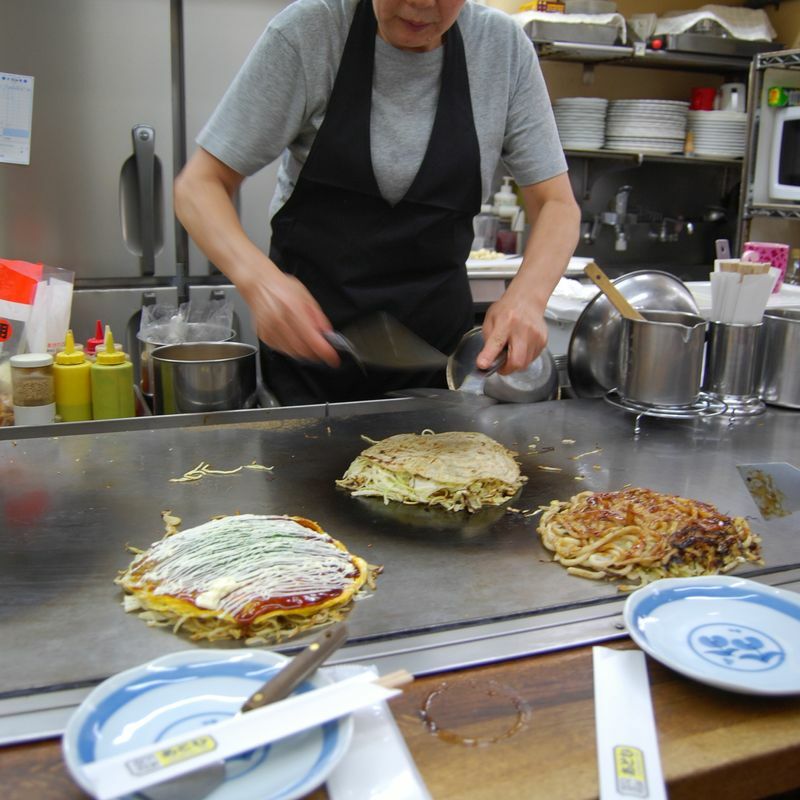 There are several foods that Hiroshima is known for, but one of the biggest has to be okonomiyaki. Literally translated to "what you like, grilled", there are two distinct varieties you'll find in Japan. Kansai style okonomiyaki sees the ingredients all mixed together, whereas Hiroshima style okonomiyaki layers them. If you want to get your hands on some Hiroshima style okonomiyaki while you're in town, heading to Okonomimura is your best bet. It's referred to as an okonomiyaki theme park, and around 25 different vendors are there, each selling their own spin on the dish. It also gives you a chance to see them being made up close, which is a fun experience in itself! 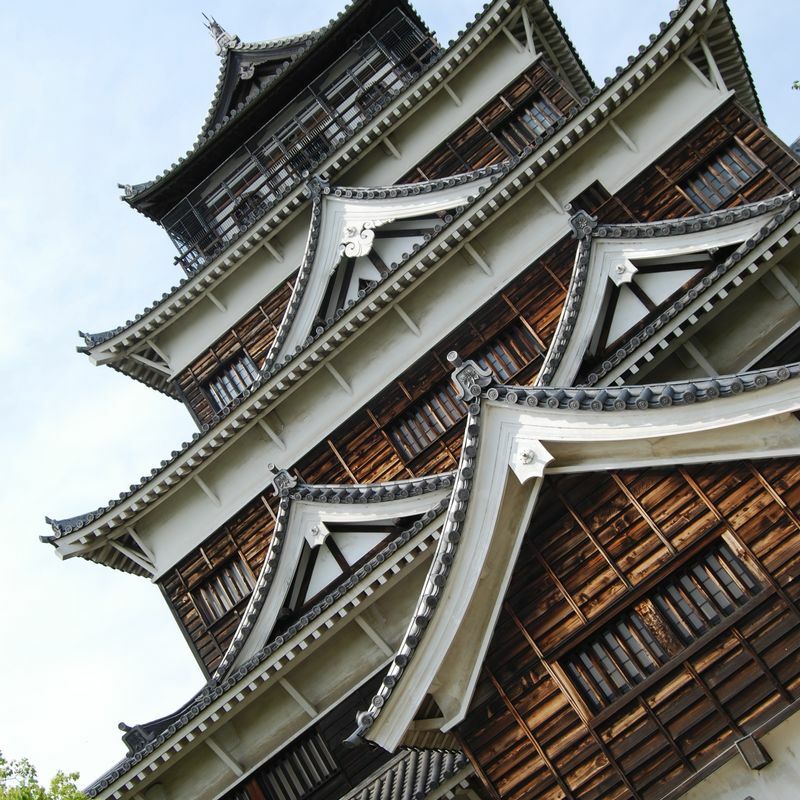 The original Hiroshima Castle building was built in the late 1500's, but the structure that you see there today is a recreation, after the original was destroyed by the atomic bombing in 1945. It's still something that I see as a must-visit when you visit Hiroshima, since to me it's a sign of the resilience of the city to rebuild. These days the castle also serves as a history museum. 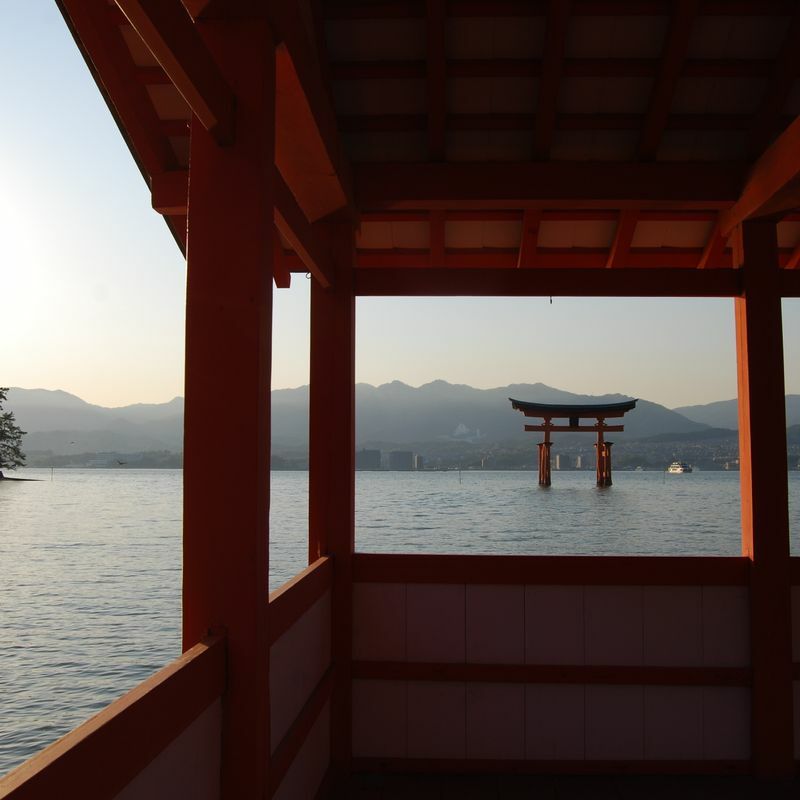 Sometimes also referred to as Itsukushima, Miyajima might be one of the most well-represented visual spots in Japan, courtesy of the red torii gate that becomes submerged at high tide. When we visited, we stayed for both high and low tide, which was a neat experience - we saw the torii gate submerged, as well as being able to walk right out to it! If you have the time in your schedule for this, definitely stick around! Miyajima also has a well known shopping street (the Omotesando Shopping Street) where you can pick up souvenirs and omiyage, and similar to Nara there are plenty of deer roaming around the island here as well. There is also the Miyajima ropeway that can take you to the top of Mt. Misen, giving off some stellar views as you head up. 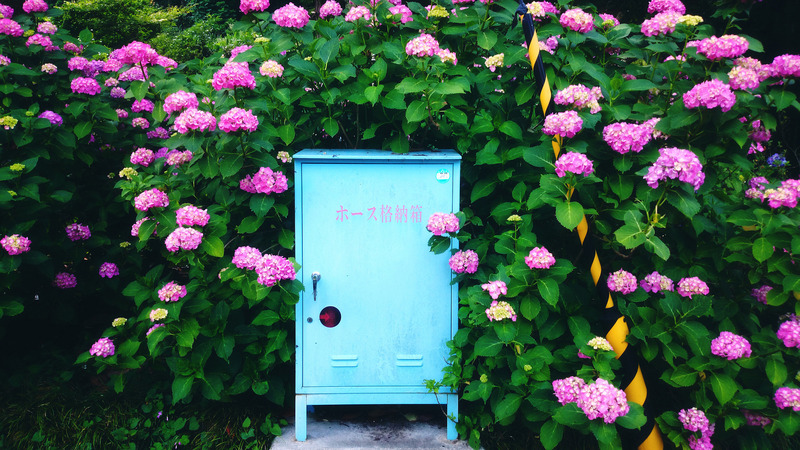 Visiting this part of Japan opens the doors to many experiences that make you think, connect with nature, and understand more about Japan's history.